Ljubljana’s citizens read a lot and there is an abundance of bookshops, many of which have English books. 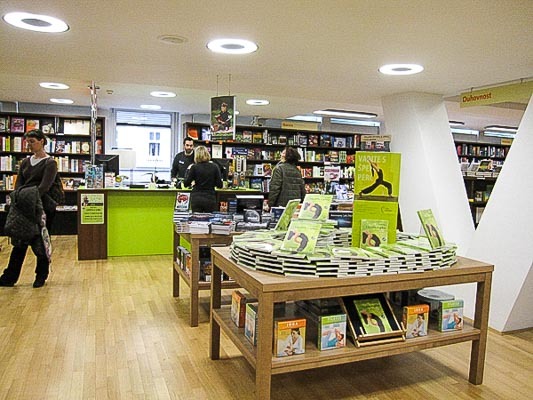 Konzorcij Bookshop is the biggest bookshop in Slovenia with more than 70.000 different books. Here you can find different monographs about Slovenia, a wide selection of tourist guides and many books in English, German, Italian and other European languages. Souvenirs can be found as well. Open until 08.00 pm, Saturdays until 3 pm. 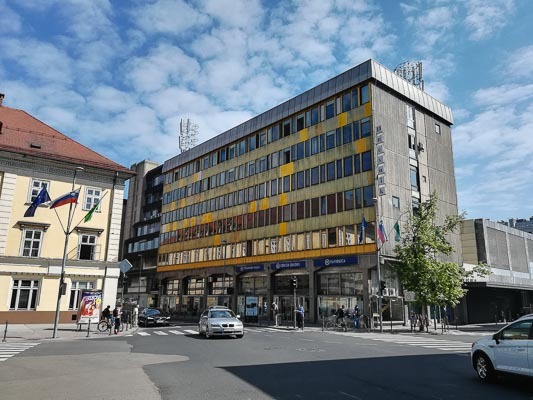 Oxford Center Ljubljana offers the most extensive choice of foreign literature in Ljubljana, especially for the learning of languages. 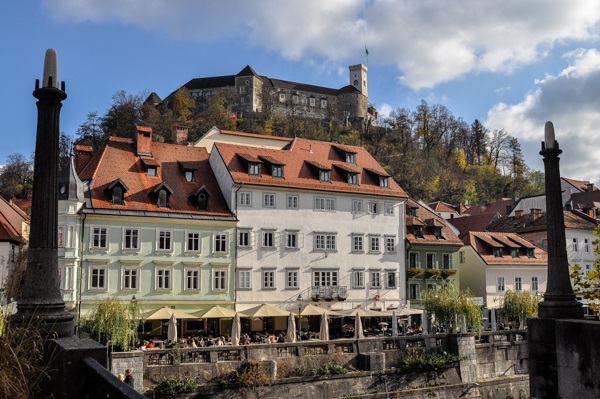 You will find it near the Dragon Bridge opposite the Slovenian Tourist Information Centre. Open until 07.00 pm, Saturdays till 1 pm. Specializes in old books and graphics, also organizes auctions of old books and prints. They also buy and sell old maps and postcards. 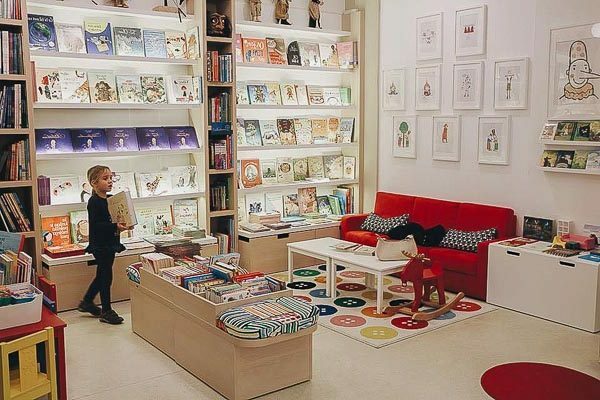 On the west side of the Ljubljana Puppet Theater building, opposite the lower station of the cable railway to the Castle, there is the first specialized children’s bookshop with a selection of top quality literature for children and young. Workshops, readings, and presentations of books are held every month. The bookshop is also an information point about the Puppet Theater program and tickets for shows and other events in the theater can be acquired. Open until 7 pm, on Saturdays until 1 pm. Sundays closed. 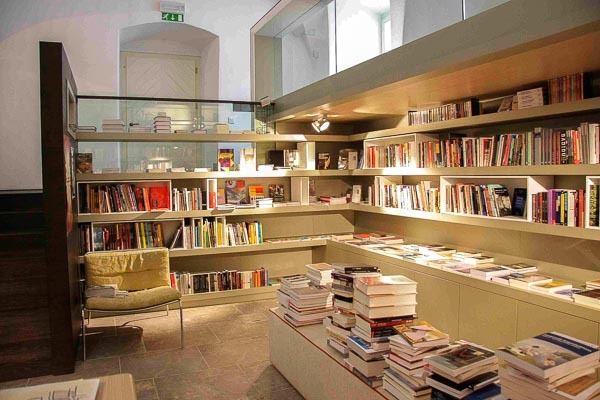 AZIL is the first Slovenian academic bookshop run by the Research Centre of the Slovenian Academy of Sciences and Arts. It is specializing in humanities and social sciences. In accordance with the scientific and research character of the Research Center, the purpose of the bookshop is primarily the provision of quality literature. 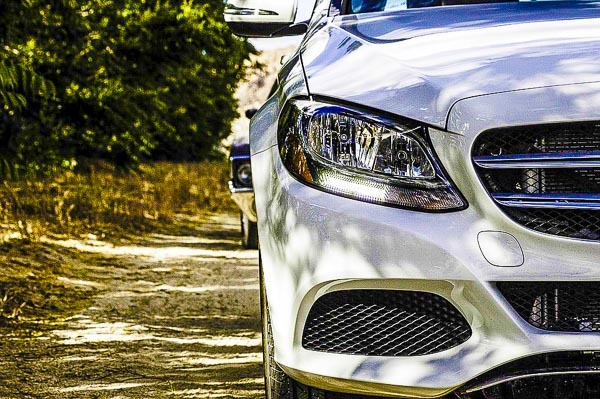 The selection of literary works is also suitable for more demanding readers searching for domestic and foreign professional literature in the fields of philosophy, history, anthropology, art, ecology, political science, economic theory, archeology, geography, ethnology, literature, musicology, biology and the like. The bookshop is open every day but Sunday untl 8 pm, Saturdays until 2 pm. 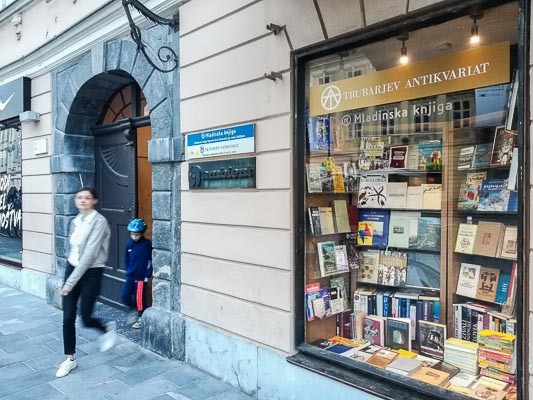 This antiquarian bookshop can be found in the lower passage of the Maximarket store, in front of the entrance to the Cankarjev dom cultural centre. They are specialized in old and rare prints, except for old money and postage stamps. They can also give you an advice on the old print’s assortment, prepare an expert opinion or make a judicial estimation. Some old-books window-shopping can be done for example while waiting for a concert in Cankarjev dom. A parking garage is just nearby. Open from 9 am till 7.30 pm, on Saturdays until 1 pm, on Sundays and holidays the bookshop is closed. This bookshop is specialized for books on spirituality, spiritual growth and healthy life but you can also notice some travel literature, novels and poetry. Esoteric gadgets can be found too, the same as spiritual and relaxing music. You will not find this bookstore in the center of Ljubljana but on the outskirts in the BTC Shopping Center. You will come accross it if you climb to the 1st floor of Hall 5 of the BTC.